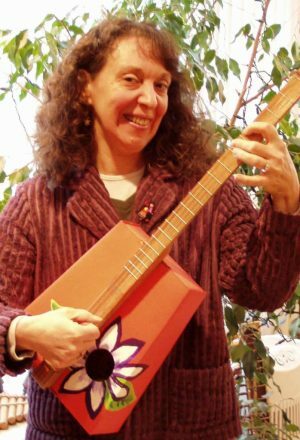 The Strumalong is much like the popular folk instrument, the Appalachian dulcimer, except that it is held like a guitar instead of played on the lap. 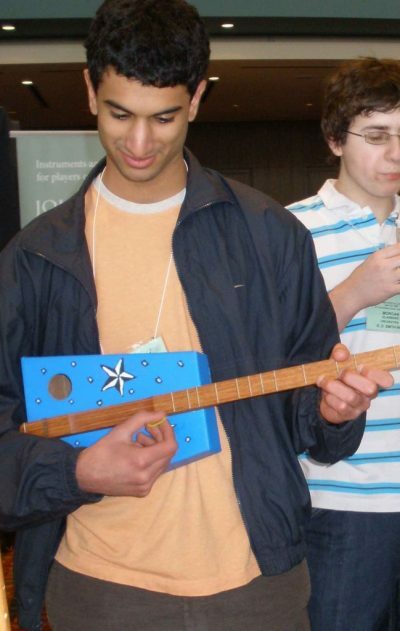 Some people call the instrument a dulcitar (half dulcimer, half guitar). It has three strings, is easy to play, sounds great and is perfect as an introduction to playing fretted instruments. The sound box is a die-cut corrugated cardboard box shaped like a trapezoid. The hardwood neck is glued securely to the box and accommodates three geared tuners. You can decorate your own box. Sometimes called a “stringed penny whistle,” the scale is like the white keys on a piano . . . like a do-re-mi scale. In music lingo, it is called a diatonic scale. The three strings are tuned to “open tunings” . . . tunings that sound a chord using no fingers. Though simple to access and play with open tunings, there are many other “modal” tunings that bring out a different character of the instrument. Based on a system of Church Modes, various minor tunings are available with slight adjustments to string pitches. 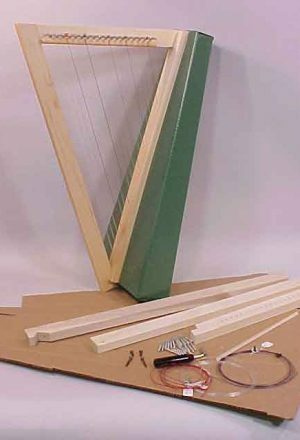 Many books about dulcimers are easily found at most music stores that will inform about all the musical possibilities of playing the Strumalong. You can purchase multiple Strumalongs and discounts do apply!